what’s that saying?…’one man’s trash is another man’s treasure’? a walk through our house shows we drew this chicken nugget from our own lives. i’ve written before, ok many times before, about the stones in our home, the sticks and feathers, the old doors and windows, re-purposed old aluminum coffee pots as canisters, old stoves still working, my dad’s workbench wooden boxes, pieces of old desks or old wooden crates as end tables. everyone has their own definition of “treasure”; for us it’s just not always the shiny new stuff. 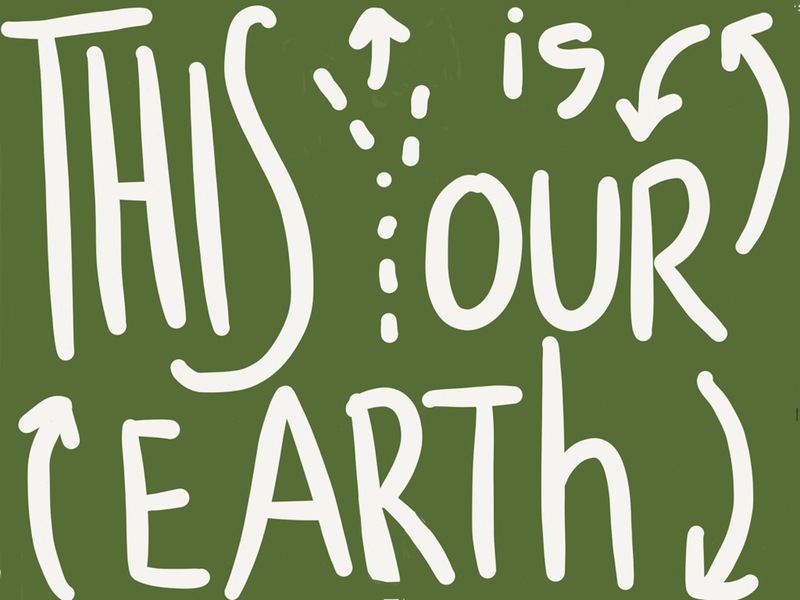 this weekend marks another earth day, a celebration of support for our beloved home planet. more than 193 countries now mark this day as a day of awareness and honoring. as we move about our days, we make seemingly miniscule decisions about how to handle our little piece of the globe. but each one of these has an impact and the ever-widening ripples will either be adding to the protection of mother earth or contributing to the harm that will adversely effect our earth in the long-term. yes, those blue recycling bags cost a bundle, but it helps. yes, those kitchen cabinets might look old for you, but they’d look better in someone else’s home (who maybe doesn’t have cabinets) than in the dump. maybe a few sticks or rocks placed here or there in our home reminds us of all that. they are treasures for me. they always have been. we can’t fit all our treasures into our literal ‘special box’ of memories so they sit out. i can’t tell you specifically where each of them came from anymore, but i can tell that each one is meaningful and each one comes from our good planet earth. Categories: chicken marsala monday, kerri sherwood, life, Uncategorized | Tags: chicken marsala, chicken marsala monday, chicken nugget, david robinson, davidrobinsoncreative.com, earth, earth day, family, find your treasure, itunes: kerri sherwood, kerri sherwood, kerrianddavid.com, kerrianddavid.com/the-melange, kerrisherwood.com, life, love, meaning, memories, moments, mother earth, old stuff, one man's trash is another man's treasure, repurposed stuff, repurposing, responsibility, ripples, society6.com/chickenmarsala, special box, story, the globe, the melange, treasure | Permalink. Categories: kerrisherwood, life, prints, story | Tags: earth, ecology, environment, green, life, prints for humans, recycling, responsibility, story, universe | Permalink.